I love a gel manicure. Partly because that plump, almost juicy nail polish finish is so satisfying, but mainly because I possess an innate ability to chip every single manicure within an hour of its existence, without fail. But this gel manicure dependence has led to some pretty crappy results: My nails seem flimsier, and my cuticles are drier. And you can preach all you want, but I'm just never going to be one of those people who meticulously apply a slathering of cuticle oil every hour, on the hour. I mean, are any of us? What I really need is something that will do the work of that regimental cuticle care routine but in one flash of low-lift effort. Something that will negate the effect of my beloved gel manicures and that takes up basically no time and no brain space at all. 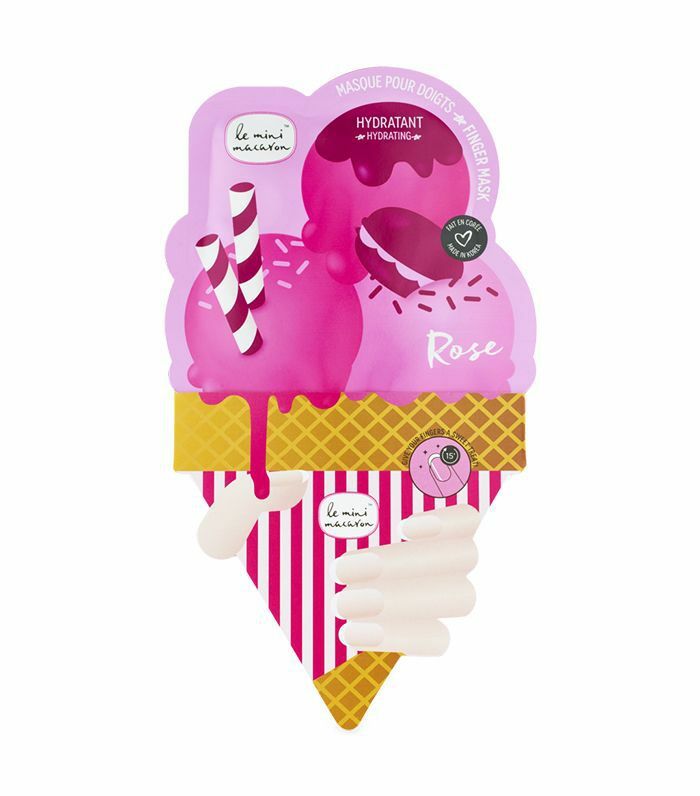 So I guess that's where Le Mini Macaron's Rose Nail Masks (£5) come in. Keep scrolling to hear what these weird little finger socks have done for me and my nails. 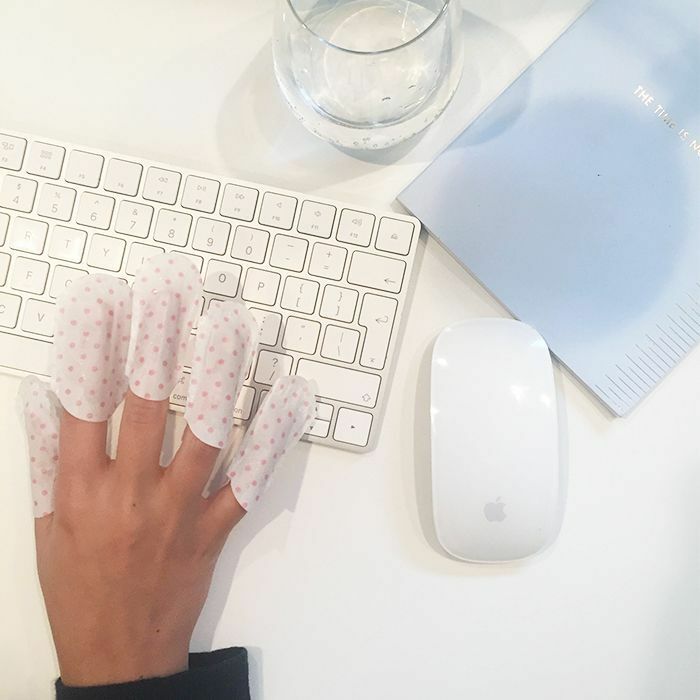 Like mini sheet masks for nails, they look by-and-large like paper versions of the foil thimbles your manicurist uses to remove gel polish. These little, er, let's call them finger helmets (or is that weird?) come soaked in a hydrating concoction of glycerin, rose and lavender. Slip them on and sit for 10 minutes (there's one for each finger, so you can, with some skill and finesse, still scroll through Instagram whilst doing it), and the formula seeps into not only the nailbed but also the frayed skin around each finger. Your nails emerge looking healthy and glowy. We're not talking Fenty Beauty Killowat Freestyle Highlighter–level glow here, but more like "I'm a dedicated cuticle-oiler" kind of glow, just with way less effort and none of the greasiness. And my hands feel better too. My cuticles are no longer sore and red and ragged, and my nails don't look so ravaged when polish-less, either. Basically, I can now go on about my gel manicure-loving business without a single ounce of regret. And for that, Le Mini Macaron, I salute you. Up next, 27 nail art ideas that are actually pretty cool.